This week in Science History saw on the 28th of November 1660, the first meeting of the Royal Society, the oldest continuously running Academy for Sciences in the world. The beginnings of the Royal Society lie in the 1640s, when an 'invisible college' of thinkers and philosophers began meeting to discuss natural philosophy of the time. On the 28th of November 1660, 12 of them including Christopher Wren, Robert Boyle and Sir Robert Moray held their first official meeting at Gresham College in London. 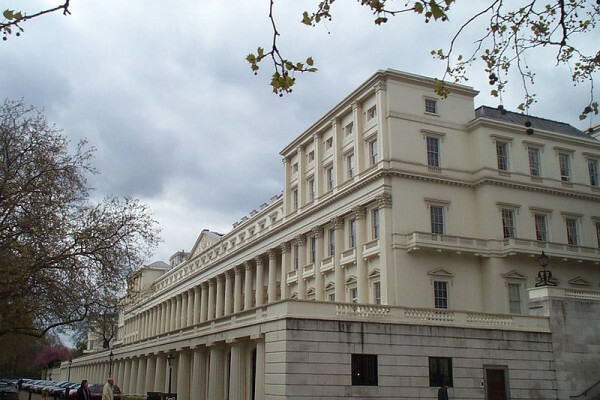 After several changes of home over the years, including an emergency move after the Great Fire of London in 1666, the society is now based in Carlton House Terrace in central London. The first use of the name the Royal Society came in 1661 and the second Royal Charter of 1663 refers to it as the Royal Society of London for Improving Natural Knowledge. King Charles II himself expressed a wish to become a fellow of the society. A shift in the selection process for fellows came in 1847, when it was decided that fellows would be elected purely on the basis of their scientific prowess and body of work, whereas before, wealthy enthusiasts who weren't necessarily scientists were allowed to become fellows in the hope that they would become patrons of other members. Fellows of the Royal Society over the years have included some of the most famous scientists in the world like Sir Isaac Newton, Charles Darwin, Ernest Rutherford, Albert Einstein, Francis Crick & James Watson and Stephen Hawking. Since 1661, the society has been publishing books and academic journals, with Proceedings of the Royal Society being one of the most prestigious journals to be published in. Series A covers physics, maths and engineering, and Series B covers biology. It also publishes several other journals, including Philosophical Transactions, which has been in print since 1665, making it the longest running scientific journal in the world. The Society also acts as an impartial adviser on science to policy makers, and despite advising the UK government on current scientific issues (that today include things like GM foods and low carbon energy sources), it is independent from the government. The Society's motto, given in 1663, is 'nullius in verba', which roughly translates as 'take noone's word for it' - expressing the Society's belief in the importance of empirical, experimental proof and an unwillingness to bow to external authority. Since 2005 the astrophysicist Lord Martin Rees has been President of the society. He is also the astronomer Royal, and Master of Trinity College Cambridge. In 2010, the Society will celebrate its 350th anniversary, and there will be events across the UK to get people involved in science, including a huge science festival on the South Bank in London. During those last 350 years, The Royal Society has been celebrating important and visionary scientists, supporting emerging talent and inspiring children about science and maths. Its history is closely linked with the history of science as a whole, and hopefully we can look forward to at least another 350 years of successful patronage, education and inspiration.